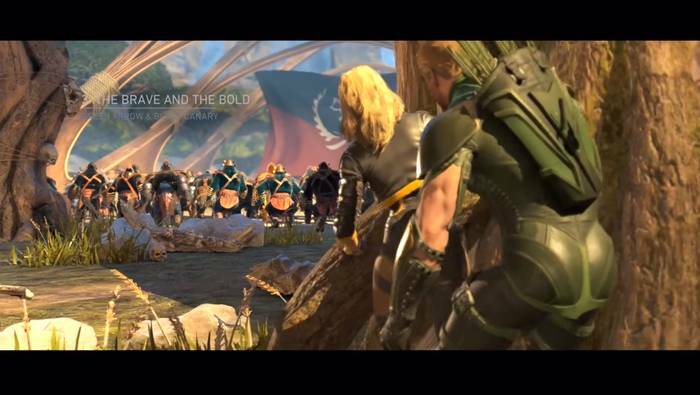 This page contains a summary of The Brave and The Bold (Green Arrow and Black Canary) – Story Mode Chapter 3 for Injustice 2. Click here to go to the Story Mode Summary page! Injustice 2’s Story Mode Chapter 3 – The Brave and The Bold follows Green Arrow and Black Canary as they arrive at the Gorilla Grodd’s lair. They catch up on past enemies and eventually engage them one by one. You’ll need to use both Green Arrow and Black Canary to defeat each enemy on the lineup.